There was a time in America when you could leave a rifle hanging in the back window of a pickup truck, go to a movie with the windows left open, and there was no chance that someone would even think about touching that firearm. 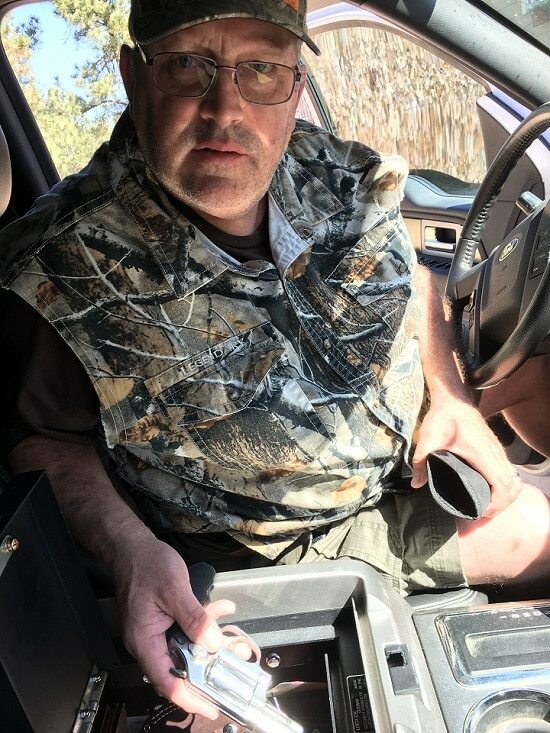 Well my friends, all that has gone the way of the buffalo, and as such the massive introduction of the 21st century gun safe is very much necessary within the shooting sports industry. 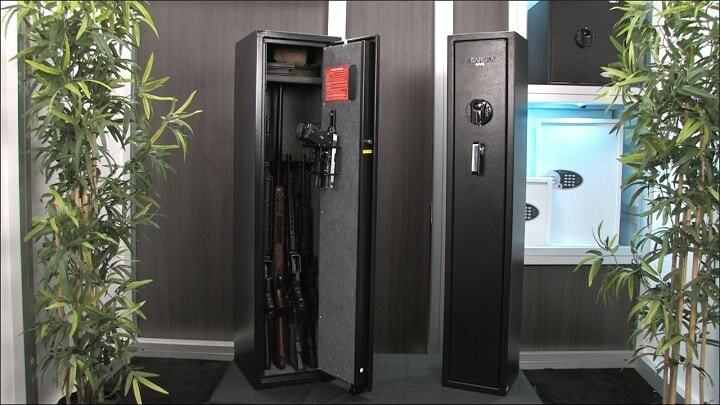 Today, the modern gun safe has been designed in just about every configuration you can think of. With that, I will try to sort out some of these biometric gunsafes in case you’re considering a purchase. Barska, the manufacturer of gun safes and optics, retains a sales base across many big box stores and offers several gun safe systems. 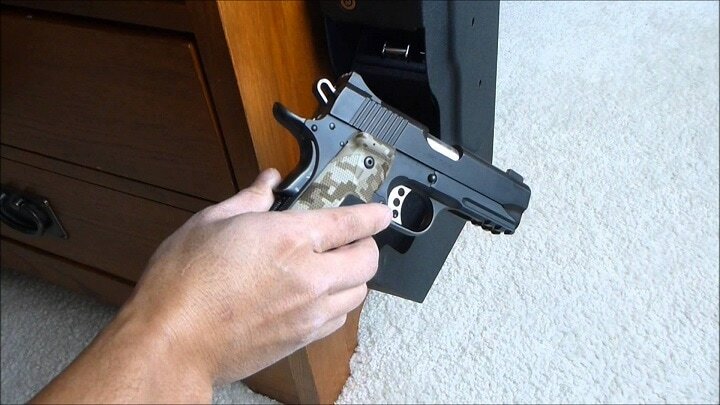 The Barska Mini is an option when a handgun needs to be stored safely. 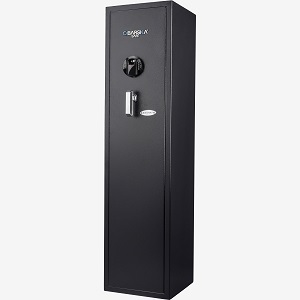 This safe makes use of up to 30 fingerprints for registered users and is designed to be bolted into a wall or other surface area. 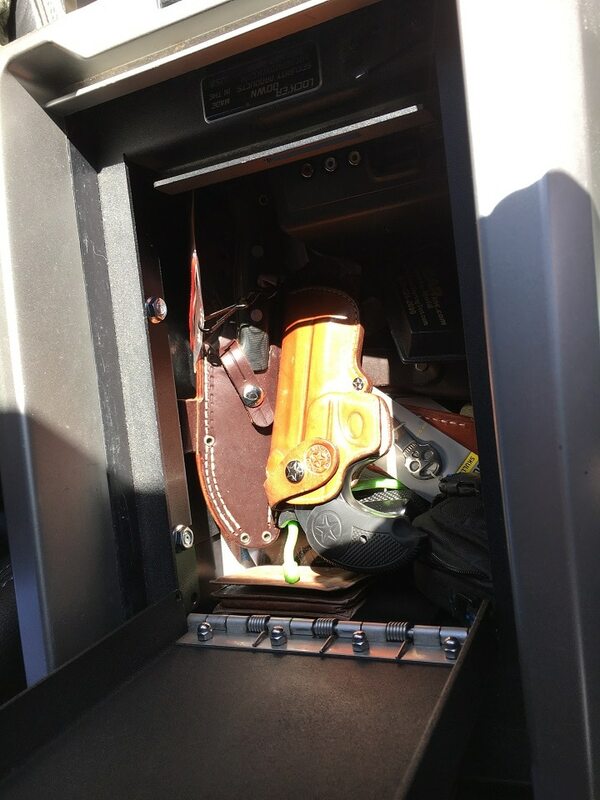 For example, my Mr. Bessler, a partner here at Ballistics Research, mounted his handgun safe directly into the floor of his Ford 150, and when entering a location that will not allow an individual to carry a gun, simply leaves it in the secure lock box on board his pickup truck. Using the biometric technology gives you the ability to quickly access your weapon when speed is an absolute requirement. The safe is powered by four Double A batteries that are good for up to a full year. However, a regular check should be made of battery life by the user. The last thing you want is to experience power failure when the item inside the safe is needed. In the Barska system, the owner will get a flashing red light when the batteries are low. For general maintenance, the manufacturer suggests that the surface of the ID glass be cleaned after each use, but other than that, the safe is maintenance free. The size of the safe measures 12x8x7.75 inches. A secondary access is provided by way of two standard back-up keys. Total weight: 15.9 pounds. Material: solid steel construction. The price of BARSKA Mini varies, so check the latest price at Amazon. As a smaller handgun safe designed to operate with speed when the weapon is needed, the Gun Vault Pistol Speedvault deserves consideration. Using the biometric fingerprint scanner and activation button, the system is lightning-fast to provide quick access. Size dimensions are 2.25 inches x 5.75 inches x 9.6 inches. The unit is built of 189- gauge steel with a protective foam liner and can mount almost anywhere. 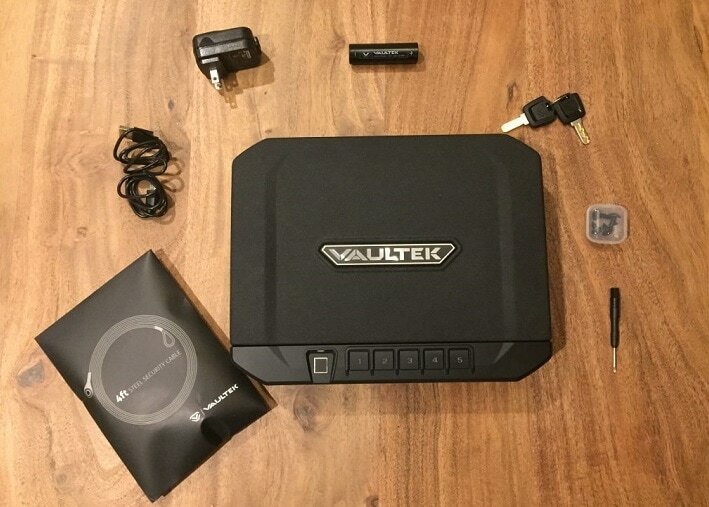 The price of Gun Vault Speedvault varies, so check the latest price at Amazon. Here is a gun safe designed for your car or truck and sold at a bargain price. The slim lines of this unit allow it to be housed in a glove box, center console storage area, or under the seat with ease. The price of Ivation Gun Safe varies, so check the latest price at Amazon. 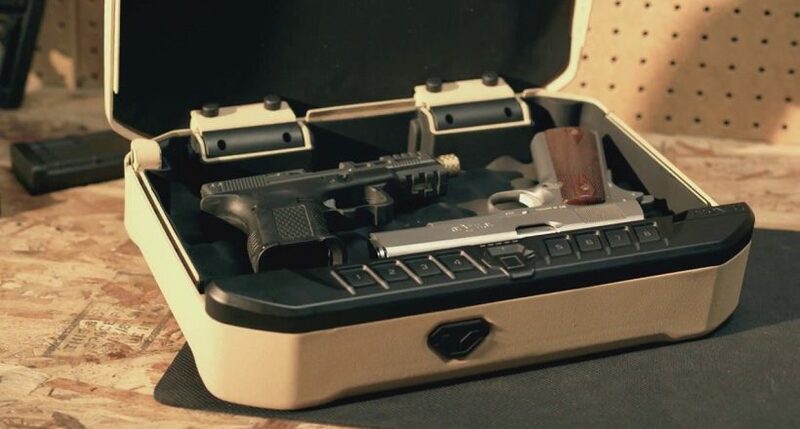 When moving into the multi-gun safe, a handgun style box like the Barska Large Biometric Safe could be the perfect choice. 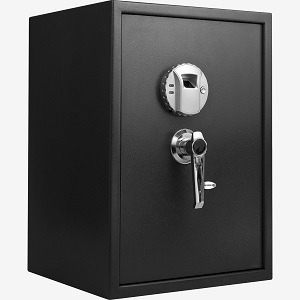 This safe comes with fully adjustable interior sections, a carpeted floor, and two keys for secondary access. Measurements are as follows: 14X13x19.75 inches. Fingerprint memory retains 120 different ID prints, and the unit is fireproof. Fireproof is a major element here. Whereas a vehicle safe that is used sparingly need not be fire resistant, that can't be said for full-size rifle or oversize handgun storage. In the past year, I know a friend rancher here in Western South Dakota and another in Canada who lost everything in their homes to a house and forest fire. However, because the gun safes were fireproof, no firearms were lost, and one case included the value of original Colt single actions that were priceless. Talk about a return on your investment right there. The price of BARSKA Large Biometric Safe varies, so check the latest price at Amazon. The Quick Access Barska long gun safe is not fireproof but designed to keep working everyday field or ranch guns out of the hands of the little ones. This safe is built for keeping general purpose rifles and shotguns in a safe location. 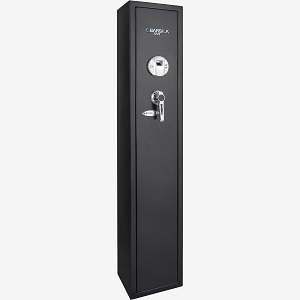 This safe makes use of biometric security systems and is built of steel for a strong no-access door. Like other Barska safe systems, this safe retains two access Allen keys in the event they are needed. 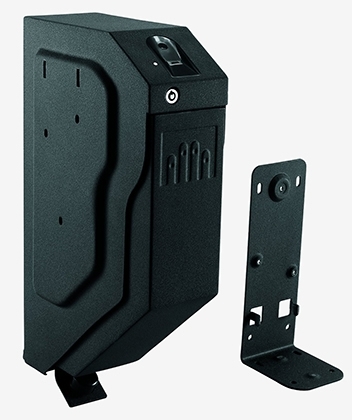 Mounting hardware is include if the safe is to be attached to a wall or floor. The price of BARSKA Quick Access Biometric Rifle Safe varies, so check the latest price at Amazon. 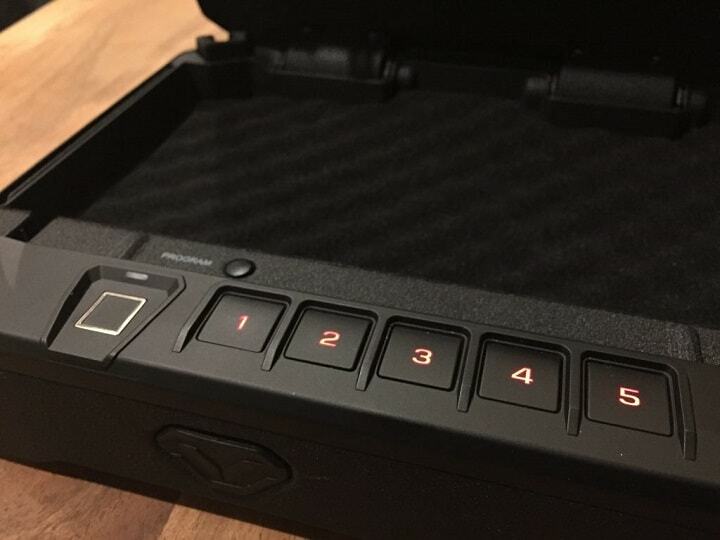 The Model S6000 Verifi Smart safe is a system used by the FBI for the finger touch access and 3D imaging. This safe is a heavy weight with thick walls that measure 2 mm at 14 gauge in thickness. The door measures 4 mm at about 8 gauge in thickness, however the safe retains no detailed fire protection rating listing. Locking bolts are 20mm in size (3/4”). This is a heavy steel box that should resist fire for an extended time. This safe company spends most of its advertising budget on the fingerprint entry system which is a good one and well above budget models. The basic design is offered in three box sizes that range from 17.4 inches wide (Model S6000) to the smaller S5000 with a width of 13.2 inches. 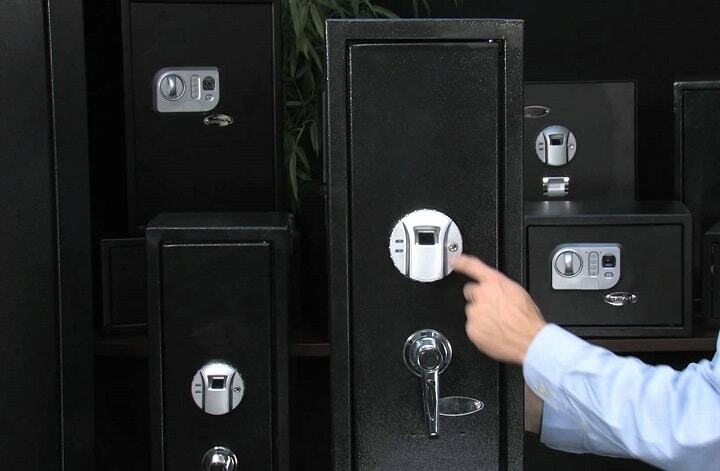 Before buying one of these safes, the buyer should take stock of just what and how much will be stored in the safe. The price of Verifi Smart Safe varies, so check the latest price at Amazon. Moving away from larger safe systems, the Vaultex VT10i is a carry system that is lighter in weight and designed to take on a single weapon or other valuables. This is an ideal vehicle safe system as it can be portable or secured within the driver’s center console or under the seat. 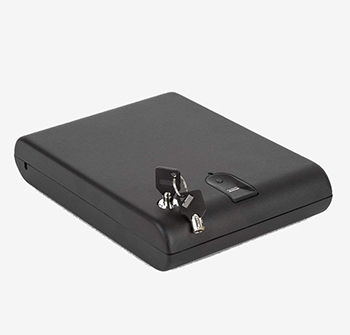 This carry safe retains anti-pry bars systems, two point anti-impact latches, and interior mounted hinges for additional strength. All steel construction built of 16-gauge carbon steel and sealed with a double powder coating finish. Advanced up-to-date smart safe technology that can be linked to a smart phone. 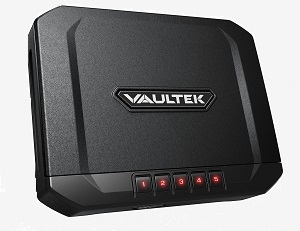 The price of VAULTEK VT10i Safe varies, so check the latest price at Amazon. 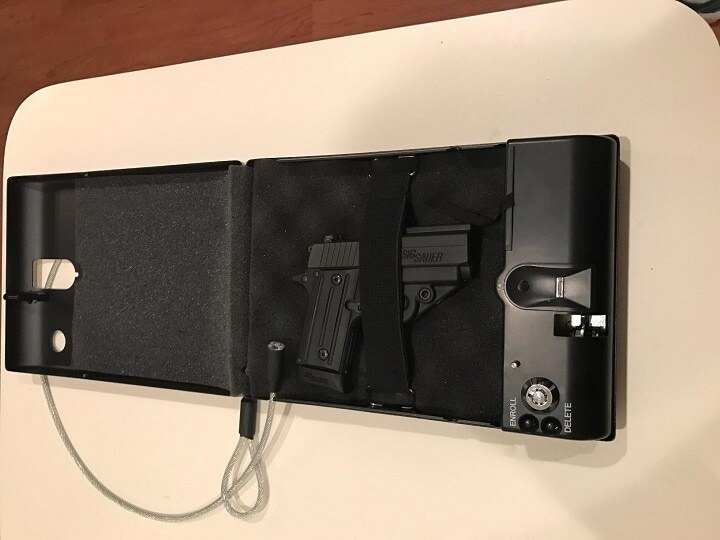 This is an example of a large Biometric long gun case. 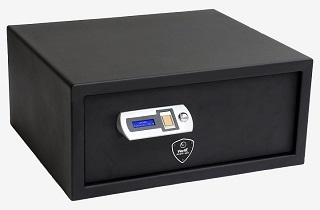 There are not very many on the market as most large safes in the long gun department make use of digital technology or old bank vault combination locks. 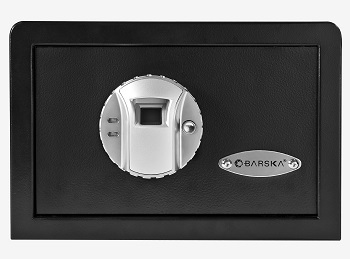 This Barska safe has dimensions measuring 57 inches x 13.75 inches x 13.75 inches and a weight of 114 pounds. This is still a low volume gun safe but is a good transition toward a larger size. For example, I have a Browning long gun/handgun safe that holds 28 guns and is fireproof for 60 minutes at 1700 degrees F. That safe uses a bank vault combination lock with a safety key. That weighs enough to require four men to move it with rollers into position off a large truck with a rear auto loading end gate system. The Biometric systems have just not gotten to this level yet as far as I can tell. The price of BARSKA Large Biometric Rife Safe varies, so check the latest price at Amazon. If any reader knows something different, please advise as I would be very happy to learn information that I don't have right now.